There's a reason why I don't watch t.v., especially the news. I don't usually write blog posts about current events despite how they've impacted my heart because I don't feel as if I'm an expert in expressing my opinion on certain matters. But what happened last Friday at Sandy Hook Elementary School broke something inside me as well as those across the nation. 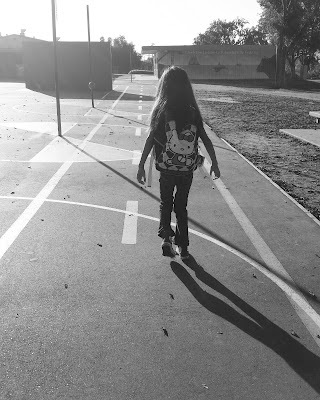 I'm a mother and a grandmother who's spent a majority of my days dropping kids off at school with the certainty that I'd see them at the end of their day. Somehow, the assurance of school being a safe place has been lost. I would want the memory of my slain child's life to be memorialized and the killer's identity to be forgotten. I haven't stopped crying, praying, and grieving with all of the parents and grandparents who have lost a child last Friday in a small town in Connecticut. I write this blog post to commemorate the names of each victim of the Sandy Hook Elementary School's shooting. May their stars shine brightly forever. On Saturday, the Connecticut State Police released a list of the names of the 26 victims who were shot and killed at a Connecticut elementary school. The victims are 12 girls, eight boys and six adult women. The victims, police said, were shot up close, multiple times. The following is a list (as released by police) of the victims in Friday's shooting spree on the campus of Sandy Hook Elementary School in Newtown.